David is a proven litigator in Family and Civil Litigation. He also represents clients accused of Criminal offences in the Ontario and Superior Courts of Justice. He has conducted multiple Jury trials successfully and has represented his clients successfully at the Ontario Court of Appeal. David was born and raised in Peterborough. 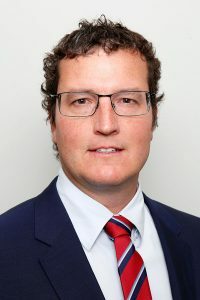 He competed in Tennis and Soccer at the NCAA level while earning his undergraduate degree in West Virginia, U.S.A.
After completing his Bachelor of Laws from the University of Windsor he returned home to practice Law in Peterborough. David is married to Cecile O’Neill and has two children. McCormick v. Old Dutch Foods Inc.  O.J. No. 6290, locus para 342. After 12 days of trial David successfully opposed client’s ex-spouse’s seven figure equalization payment from client. R. v. Dow 2016 Carswell Ont 1683, 2016 ONCJ 70. Secured acquittals on several serious criminal charges for his client following a seven day criminal trial.